Stephen Heintz, left, with Valerie Rockefeller Wayne and Steven Rockefeller on Tuesday. Even so, some say they are taking action to align their assets with their environmental principles. Others want to shame companies that they believe are recklessly contributing to a warming planet. Still others say that the fight to limit climate change will lead to new regulations and disruptive new technologies that will make these companies an increasingly risky investment. 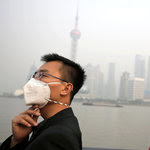 Ultimately, the activist investors say, their actions, like those of the anti-apartheid divestment fights of the 1980s, could help spur international debate, while the shift of investment funds to energy alternatives could lead to solutions to the carbon puzzle. Not everyone will divest completely or right away, Ms. Dorsey noted, and some are divesting just from specific sectors of the fossil fuel industry, such as coal. “The key thing is that they are moving along toward a common destination,” she said. Just how transparent the various funds and institutions will be about the progress of their asset sales is uncertain. At the Rockefeller Brothers Fund, there is no equivocation but there is caution, said Stephen Heintz, its president. The fund has already eliminated investments involved in coal and tar sands entirely while increasing its investment in alternate energy sources. 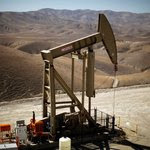 Pitzer College, however, is one of a number of schools that have promised more extensive efforts to remove fossil fuels from their endowments. 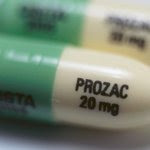 Donald P. Gould, a trustee and chair of the Pitzer investment committee and president of Gould Asset Management, said that everyone involved in the decision knew that the direct and immediate effect on the companies would be minimal. Pension funds have proved a harder sell. While Hesta Australia, a health care industry retirement fund worth $26 billion, announced last week that it would get out of coal, many others have not. PensionDanmark said in a statement that it has invested 7 percent of its $26 billion portfolio in renewable energy with plans to raise that percentage over time. “Divestment will itself not contribute to solving the challenges of global climate change, and we believe it is not a very wise way to try and solve the issue,” the company said. 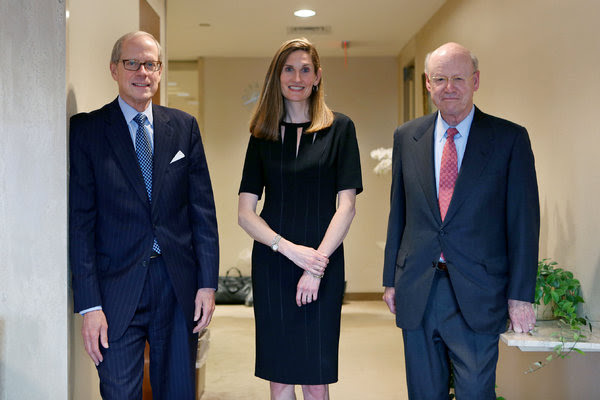 In an interview last week at the Rockefeller family’s longtime New York offices at 30 Rockefeller Center, Mr. Heintz, Mr. Rockefeller and Valerie Rockefeller Wayne, the chairwoman of the fund, spoke of the family’s longstanding commitment to use the fund to advance environmental issues. The family has also engaged in shareholder activism with Exxon Mobil, the largest successor to Standard Oil. Members have met privately with the company over the years in efforts to get it to moderate its stance on issues pertaining to the environment and climate change. They acknowledged that they have not caused the company to greatly alter its course. The Rockefellers have also tried to spur change through direct investment. In the 1980s, Mr. Rockefeller said, members of the family formed a $2 million fund to invest directly in renewable-energy alternatives. They were too early. Ms. Wayne said the family’s commitment is intergenerational, and continuing. She said that her 8-year-old daughter lectures her on the destruction of orangutan habitat to create palm oil plantations. 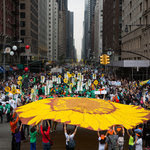 The People’s Climate March in Manhattan was a spectacle even for a city known for doing things big, and it was joined, in solidarity, by demonstrations on Sunday across the globe, from Paris to Papua New Guinea.